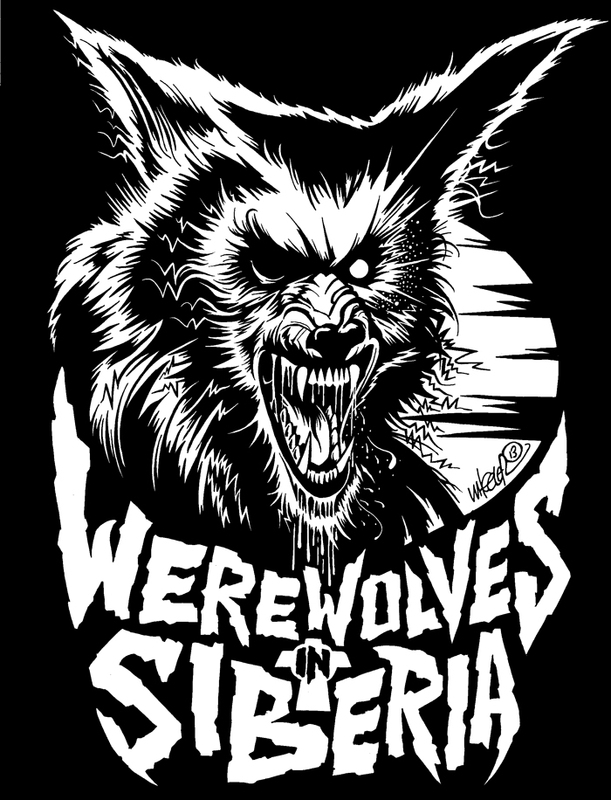 Without making you guys wait any longer, here it is in all it’s glory… The Jeremy Wheeler designed Werewolves in Siberia t-shirt. This shirt goes on sale Monday. You’re going to want to get one right away to make all your friends jealous. Make sure to head over to ThisIsBangMedia.com to see more of his awesome work. Very pleased to announce that Jeremy Wheeler from Bang! Media is the artist behind the new WIS shirt. This is just the tip of the iceberg on some of the stuff he’s done. A John Carpenter print for BeyondFest, the LP cover art for Steve Moore’s (from Zombi) Horror Business soundtrack and these awesome posters for special showings of Miami Connection and RoboCop. Check out ThisIsBangMedia.com to see more of his work. You can buy prints there as well. The new WIS shirt will be available soon. For now, just know one of the best horror/sci-fi artists has done something incredible. More info coming soon. Graveyard Calling Records has taken a look at the 3D art for the limited edition The Rising cassette and it looks like everything is a go. Now, we wait. Hopefully, we’ll have a release date soon. New WIS tracks FREE for Halloween! Take the tour of terror! Visit 14 spine-chilling locations; from the bone-lined walls of the catacombs, through the depths of the swamp and beyond! 18 tracks of monster-bass, bone-chilling beats and frightening frequencies! As you all probably know, The Rising is scheduled for a cassette release from the UK’s Graveyard Calling Records in November. 3D art and glasses will make this limited edition a hell of a collect it’s item for the WIS fans out there. Travis Berg from Boise, ID’s top tattoo shop, Inkvision, has supplied some killer art. 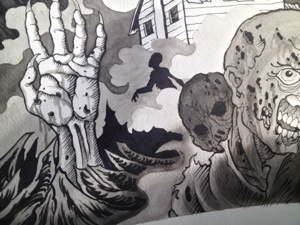 Above is a sneak peek of the art, completely untouched. Can’t wait to get this sleeve put together. It’s going to be awesome.